Dass suites is located in Domlur which a very populated area and is well-connected with the rest of the city. 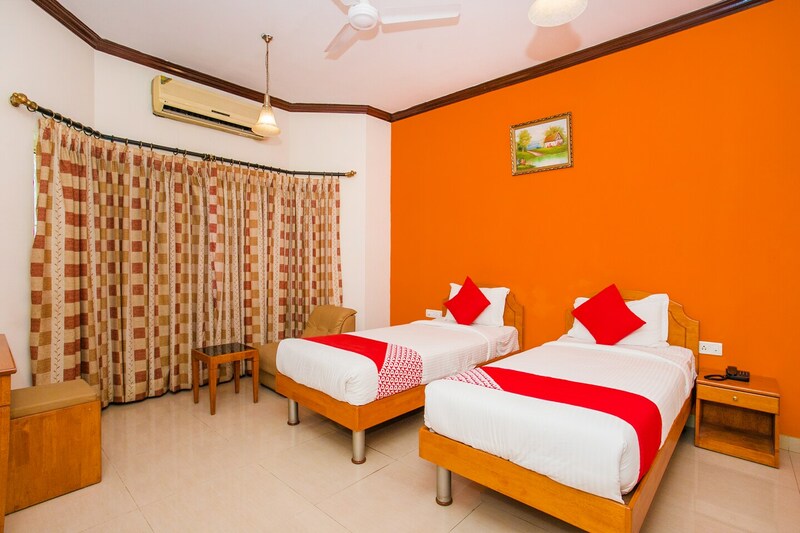 The rooms are filled with vibrant and lively colours. The rooms have enough space for its guests. The curtains compliment the colour of the room. The rooms has a side table, chair and a dressing table. The other amenities include a hair dryer, free wifi access and a mini-fridge for the convenience of the guests. The hotel has an in-house restaurant, a spacious banquet hall, a conference room and an elevator.